Unplug from your life for a while and wander through beautiful Rittenhouse Park, which is directly adjacent to our hotel. This local landmark allows you to get away from it all, even just for a little while. The crisp air, beautiful trees, and bubbling fountains provide a delightful refuge from your hectic schedule. 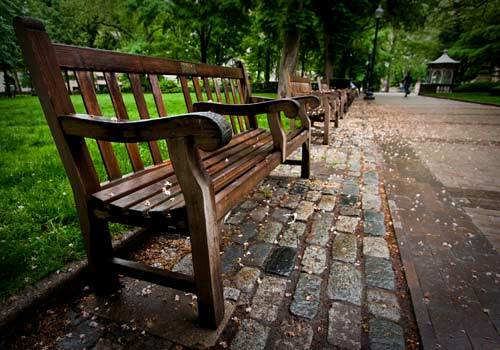 Refresh and relax in Rittenhouse Square. One of Philadelphia’s oldest public areas, Rittenhouse Square, was originally laid out as a public park by Philadelphia founder William Penn in the late 1700’s; It has long been the heart of the city. Opening a little later in 1928, The Warwick evolved into the centerpiece of Rittenhouse Square. Less than one block from The Warwick’s front door, Walnut Street is world famous for attracting shoppers from around the globe. From H&M to Tiffany’s, this premiere shopping experience accommodates all budgets and styles! Feel like a night on the town? The Warwick places you less than three blocks away from a variety of nightlife opportunities. 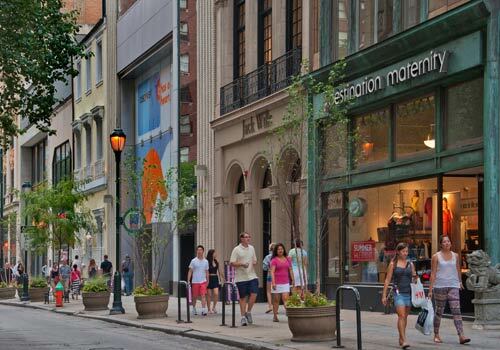 Notably one of the safest areas of Downtown Philadelphia, Rittenhouse Square allows you to wander comfortably, offering an opportunity to create your own adventure in an exciting, architecturally stunning environment. From small and cozy cafés to your favorite chain restaurants, The Warwick Hotel Rittenhouse Square is near dozens of restaurants meaning you’ll find something to satisfy even the pickiest eater. Locals love the European-style pastries at Miel Patisserie and the always-excellent menu options at Stephen Starr’s Parc, one of the area's top-rated restaurants. If you want seafood, you have to try the fresh seafood rolls at Luke’s Lobster. 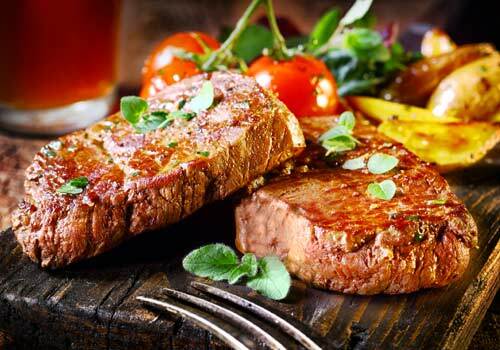 Traditional Italian cuisine awaits you at Pietro’s Coal Oven Pizzeria, and our own Prime Rib is the place in the city to enjoy delicious steaks seared to perfection.